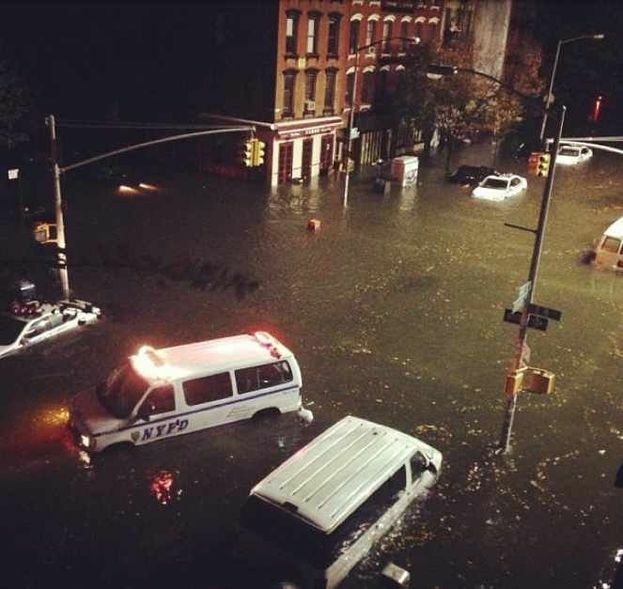 Last night’s storm brought in incredible floods and massive power outages to the East Coast. Some of the waters have subsided, but millions are still without power in the country. Thanks to Instagram, Twitter, and the Associated Press and Reuters photo services, we get an idea of how bad things got last night. 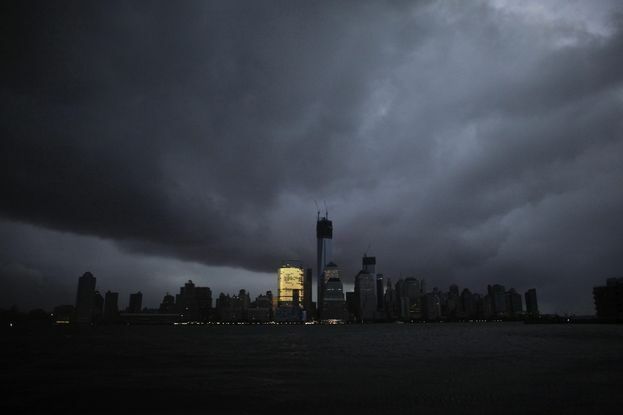 An eerie skyline, as much of Manhattan went dark when ConEd either shut off or lost power for many of the city’s residents. 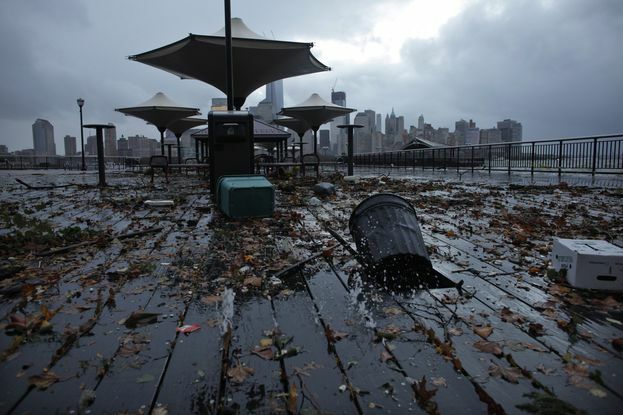 The aftermath at Exchange Place in Jersey City. 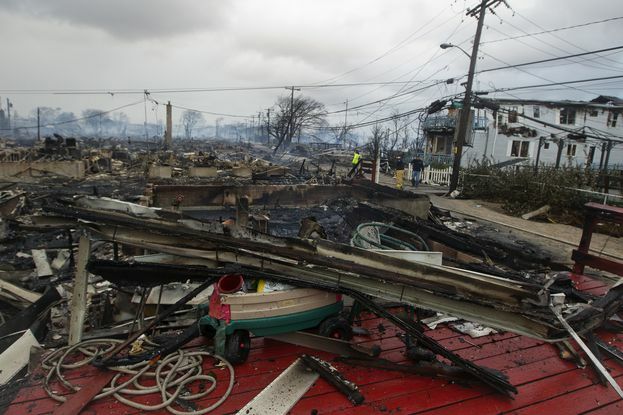 80 homes in the neighborhood of Breezy Point in Queens burned to the ground last night in an inferno spread by high winds. 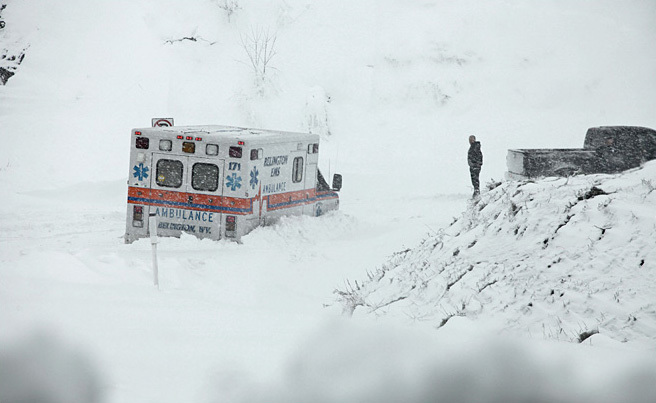 An ambulance is stuck in over a foot of snow near Belington, West Virginia. 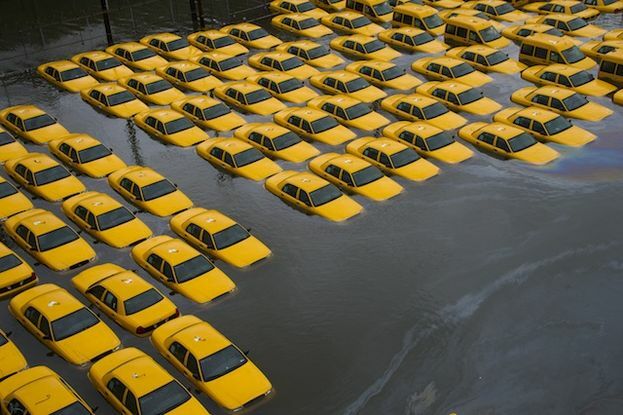 Submerged taxis in Hoboken, New Jersey. 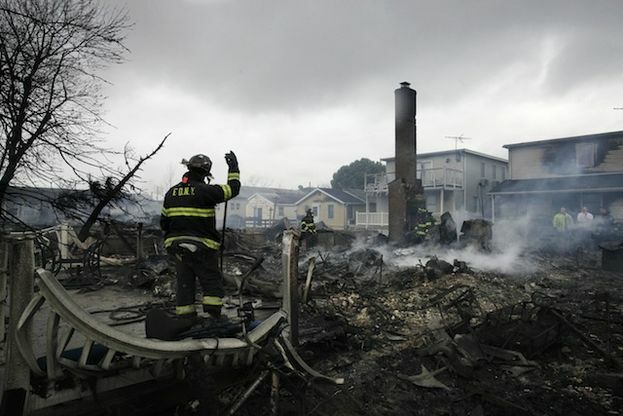 Firefighters in the ruins of one of the houses in Queens destroyed in last night’s six-alarm blaze. 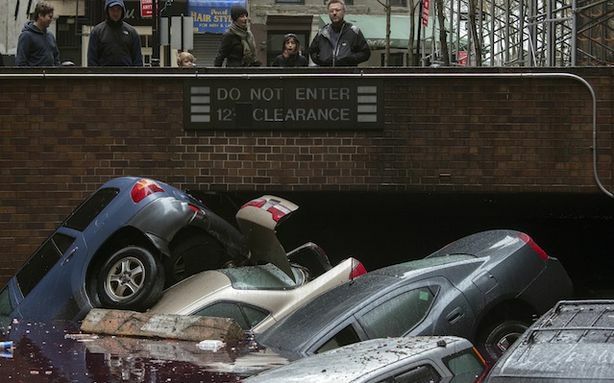 Cars are submerged at the entrance to a parking garage in New York’s Financial District.